I think she just noticed that I do this, haha. 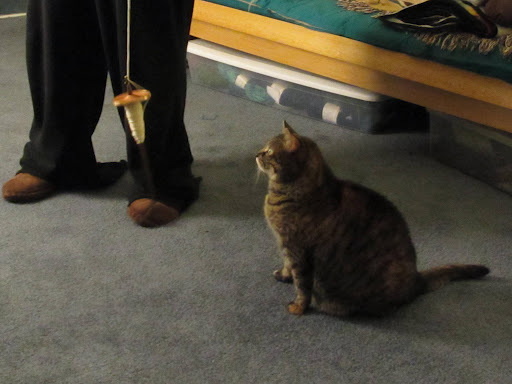 She’s taken to watching intently and then once I really get going she’ll rub up on my legs or on the spindle itself and stop all of the momentum I had going. 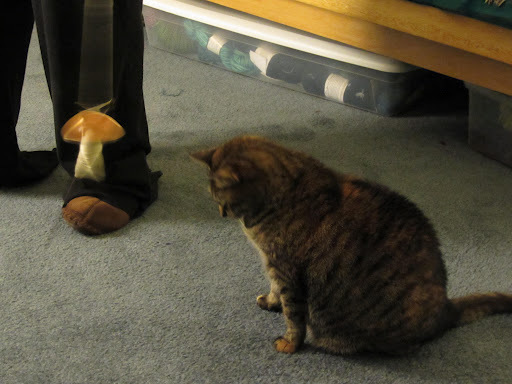 Super helpful, Calypso! Super helpful. 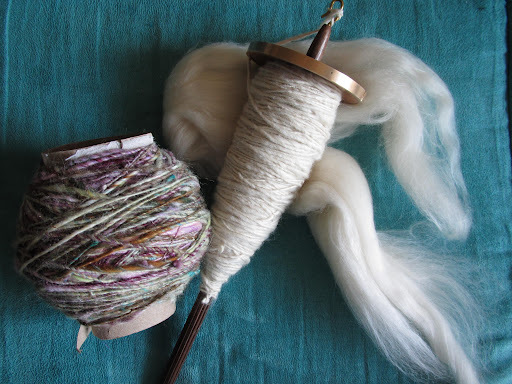 That bit of fluff is all I have left of the Merino/silk to spin before I can ply those two singles together! I cannot wait. I think plying is my favorite part of spinning. It’s like magic– fluffy, twisty magic. Also, once the plying is done, I get new yarn! And we all know how much I love new yarn. 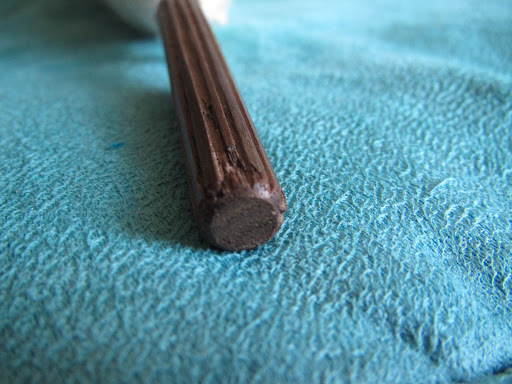 My Golding spindle has these really handy grooves on the shaft that let you get a good grip when you go to spin it. When I first got the spindle one of the sticking-out-parts of the grooves was missing near the edge, but I figured what the heck, it’s just a tiny chip, I can live with it. 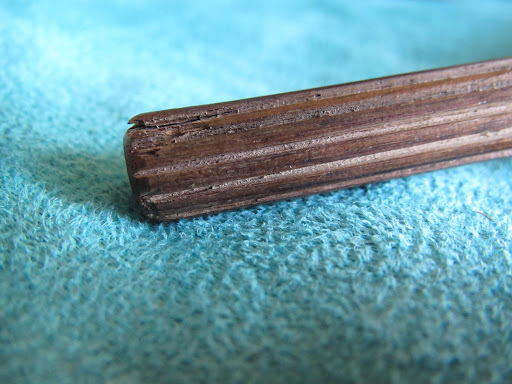 But a 6 weeks of spinning and a few drops later and that chip has turned into a full-on split in the wood. 😦 I’m not sure if it’s a big enough deal to contact the company or not, it doesn’t decrease the functionality of the spindle but it can snag on stuff and I’m worried about it splitting further. Anybody else encounter this kind of problem? This entry was posted in kitty, spinning by shoelaceswitcher. Bookmark the permalink.